The following FAQ is for educational purposes only and is in no way intended to be nor should be interpreted as medical advice. Everyone seeking to begin a new diet, physical activity routine or medication should always first consult with their primary care physician for how specific health conditions may be affected by or limit their participation. This list of Frequently Asked Questions and Answers about Phentermine was prepared by A Better Way Health Center’s Medical Director, Richard A. Nelson, M.D. 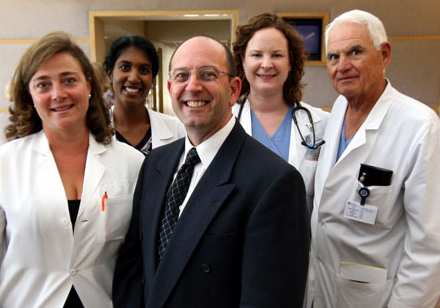 Dr. Nelson is a graduate of the University Medical School and a former Staff Fellow and Guest Researcher at the National Institutes of Health (NIH). The following information is provided as a courtesy, and not as medical advice, based on his review of Phentermine-related literature and with his nine years of experience with approximately eight thousand patients over forty thousand office visits. Phentermine’s complete mechanism of action has not been definitively defined. However, it is currently thought to have its primary effect on the hypothalamus, which is a very deep part of the brain responsible for hunger, thirst, as well as influencing arousal levels and sleep. By affecting neurotransmitter re-uptake in this area of the brain, Phentermine effectively decreases appetite to levels below those normally experienced. A markedly decreased appetite makes a calorie-restricted diet much easier to follow, which aids in the weight loss process. 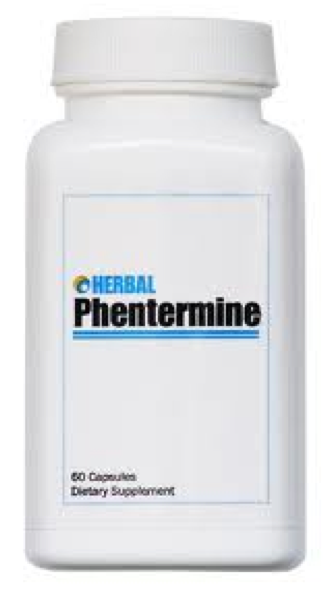 Phentermine was half of Fen-phen. Fen-phenâ was a nickname given to the weight loss drug combination of Fenfluramine and Phentermine, which were in popular use from about 1994 to 1997. Fenfluramine (also known as Pondomin) and the closely related Dexfenfluramine (Redux) were subsequently voluntarily removed from the U.S. market by their manufacturers at the request of the Food and Drug Administration (FDA) due to concerns about these drugs possibly damaging heart valves in some users of these medications. Phentermine, used without Fenfluramine, was not found to be associated with this increased incidence of heart valve changes and so was allowed to remain on the U.S. market, as it has been for over the past 40 years. Is Phentermine sold by other names? Phentermine is the name of the generic drug. Trade names of Phentermine include: Adipex, Ionomin, and Fastin. No. Phentermine and ephedrine are two separate medications. Phentermine is available only by prescription, and is not sold as part of an herbal cocktail, whereas Ephedrine, because it is naturally occurring and not under as strict FDA control, has been used in a variety of herbal energy boosters,fat burn- ers, and dietary supplements. This may be changing soon, in light of recent tragic events involving Ephedrine-containing products. Phentermine is classified as a Schedule 4 controlled substance by the Food and Drug Administration (FDA), implying that it does have a minimal abuse liability. (Schedule 1 being the highest and 5 the lowest) Tolerance to the medication does develop, to where its side effects and some of its appetite suppressant effects lessen over time, which is one common component of a potentially addictive drug. However, for the vast majority of participants, no significant euphoric effect or high is experienced from the medication, nor does the development of craving for the drug appear to occur. If the drug were to be discontinued abruptly, many participants would experience some of rebound hunger and a little rebound fatigue, but no severe withdrawal symptoms of the sort generally associated with abrupt nicotine or caffeine cessation. So while the possibility of Phentermine addiction must be kept in mind, based on our experience, it would appear to be a very rare event. The development of psychological dependence on Phentermine, to where participants are using the medication in lieu of developing good health habits, rather than as an adjunct to this process, is probably of more concern. This is something that we do monitor for to help participants from coming to view Phentermine as a form of crutch and it is the main reason we do not recommend Phentermine use for those seeking only modest weight loss. Dry mouth is the most common side effect we see, and the one, which lingers on the longest. 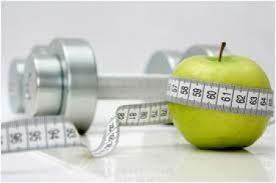 It is usually manageable by following common-sense measures such as drinking lots of water and chewing sugar-free gum. Sleeplessness is the next most common side effect, presenting either in the form of having a hard time falling asleep or of awakening very early in the morning and not being able to get back to sleep. This occurs primarily in the first week of Phentermine use subsiding to the level of a nuisance; however, for some patients it can linger for a few weeks, diminishing gradually over this time. Constipation also occurs fairly frequently, and lingers for some, but except in rare cases it can usually be managed by being aggressive in terms of water and fiber intake. Mild headaches, restlessness, anxiety, irritability and occasional heart racing are not uncommon in the first few days of a new user starting Phentermine, but usually subside quickly throughout the first week. Other side effects are rare and usually mild when they do occur and include: dizziness with sudden standing, blurred vision, hesitancy in starting urination (in men), and occasional gastrointestinal upset when taken on an empty stomach. Under our program results, we list the percent of participants (of the first 500 to Visit 5), who are reporting symptoms thought to be probably related or related to Phentermine use. By visit 4, about six weeks into the program, the only side effect persisting in more than ten percent of participants is dry mouth and the only symptoms persisting in more than two percent of participants are: dry mouth, sleeplessness, and constipation. As tolerance to Phentermine continues to build, these effects continue to gradually subside. When seeking a new diet, physical activity routine or medication you should always first consult with their primary care physician. Phentermine takes about three to five days to build up in the system (to what is called a steady state), which is why some people report not feeling its full effect until being on it for several days. Similarly, Phentermine also takes about three to five days to wash out of the blood, so that if a day is missed, there is still quite a bit left in the system. Even though forgetting a day here or there appears to have little effect, we have still found that the participants who do the best at weight loss tend to be those who are very regular in taking their prescribed Phentermine doses every day. If you are buying Phentermine from a reputable source in the U.S., such as Walgreens.com, that requires your doctor’s prescription, you can probably safely assume that you are getting a legitimate product. On the other hand, if you are ordering a product from a location with no visible address or an overseas address, and or one which dispenses Phentermine based on an online physician consult, aside from the legal issues, you may be taking a very real chance that the product you receive is not the real thing. We have spoken with several participants in our clinic who reported side effects from Phentermine bought off the Internet that led us to suspect that what they received was not in fact Phentermine. So, be very wary. As our program is intended for the development of permanent healthy behaviors and not for acute dramatic weight loss, we advise patients complying with the program to anticipate an average weight loss of one and one-half to two pounds per week, or roughly one percent of their body weight per week, which is considered to be an optimum amount to preserve muscle mass while burning fat. With this plan the transition to the weight maintenance phase of the program is then a very smooth process where the diet and exercise habits remain the same as those of the weight loss phase, while calorie intake gradually increases to support the new weight. Phentermine is a prescription medication approved by the United States Food and Drug Administration (FDA). This is a question that is best answered by your primary care doctor or psychiatrist. There is a class of older antidepressants called MAO inhibitors that you definitely cannot take in combination with Phentermine. For patients on the newer antidepressants, which are in more common use (e.g. Prozac, Paxil, Zoloft, Celexa, Effexor), we are not aware of any adverse interactions, and have many patients in the program who are on one of these medications and doing fine, but your doctor should still be consulted. Can I Use Phentermine if I am Pregnant or Breast Feeding? For those taking Phentermine, we advise caution in the use of other over-the- counter stimulant medications, primarily the decongestants (Pseudoephedrine) and caffeine. If a decongestant must be used, we recommend that a participant have his or her blood pressure checked several times while on this product. 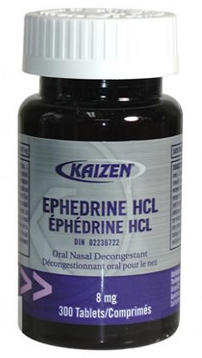 We also recommend that all products containing the drug Ephedrine be avoided. This long list includes various energy boosters, fat burners and various diet supplements, which promise metabolism-enhancing effects. There are some professions, such as a commercial airline pilot, where taking Phentermine (along with many medications) is not allowed. In all other cases, having a letter from our program stating that a participant is receiving this medication as part of a physician-supervised weight loss program has been sufficient to avoid any problems, to the best of our knowledge. Because of its similar chemical structure, Phentermine could produce a false-positive result for Amphetamine like drugs on a broad screen immunoassay, such as a Urine-Tox screen. However, a follow-up test, which is more specific, such as Gas Chroma-tography, should then clarify that the drug is Phentermine and not an illicit substance. However, showing an employer our letter before any drug testing has occurred should prevent this from becoming an issue. A very rough indicator would be to examine how you respond to other stimulant medications, such as caffeine, and over-the-counter decongestants. If you are extremely sensitive to these products, you may only need a very low dose of Phentermine for it to be effective, and a standard starting dose may be too much, in terms of producing side effects such as sleeplessness, jitteriness, and heart racing. On the other hand, if you are highly tolerant to stimulants, you may still be hungry on a standard Phentermine dose, and it may have to be increased to produce adequate hunger control. Another rough indicator is to examine how close blood relatives (i.e., brother, sister) have responded to Phentermine, since in our experience, close relatives often appear to be quite similar in terms of their tolerance. A history of high blood pressure is not an exclusionary condition to the use of Phentermine; however, blood pressure does need to be under adequate control (e.g., ideally systolic blood pressure <135 mmHg and diastolic blood pressure <85 mmHg) prior to beginning the program. We assess blood pressure at every visit, referring patients back to their primary care doctors for more adequate blood pressure control prior to their continuing in the program in the event it does become too high. However, as our results show, average blood pressure for participants in the program actually decreases from the first visit, and the number of patients who actually experience an increase in blood pressure as they progress through the program is quite small. A history of hypothyroidism and use of thyroid replacement medication should not exclude participation as long as the amount of thyroid medication a participant is taking is appropriate to what they need. Over medication with thyroid medication can produce symptoms of high blood pressure, heart racing, jitteriness, and anxiety, similar to being on a strong stimulant, and so compounding this over-medicated condition with another stimulant, such as Phentermine, could exacerbate these symptoms. However, as long as this over-medicated condition was avoided, Phentermine use by someone on thyroid replacement should not be a problem.